Don’t be late, for a very important date! 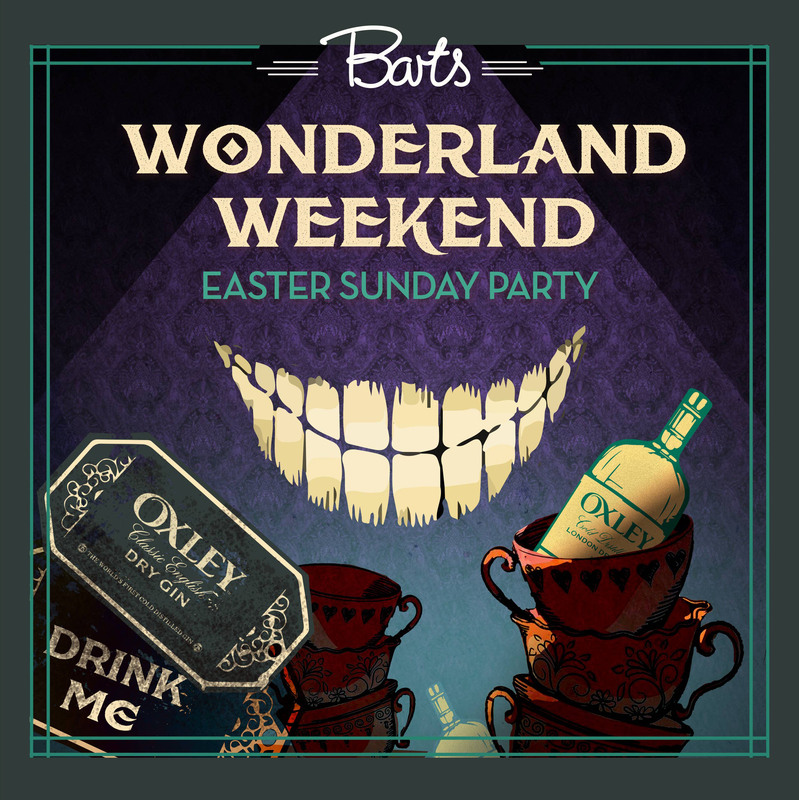 On Easter Sunday, we finish the weekend on a high with the ultimate Wonderland party! This is the big Easter bunny blowout, and, with no work Monday, we can go all night long! Follow the white rabbit through Chelsea Cloisters and ‘down the hole’ as you enjoy the ultimate four-day Easter special… or it’ll be ‘off with your heads!’ Step through the secret black door as the apartment transforms into the world of Wonderland! Sip from mismatched teacups, and enjoy labelled concoctions as your ‘Mad as a Hatter’ host Dee Riley performs jaw-dropping magic tricks and sleight of hand fit for Wonderland! Delve into our box of curiosities as you throw on a mad hat from the fancy dress box or have a Cheshire cat’s smile painted on you by our resident face painter. Embrace the madness and step onto the dancefloor, throwing shapes like a mad hatter until the early hours of the morning! After all, it’s no work Monday!